Nothing compares to that sweet, smoky scent of barbecue! It is the perfect game day dish or great for guests in the backyard. It also has become the staple of most family picnics. 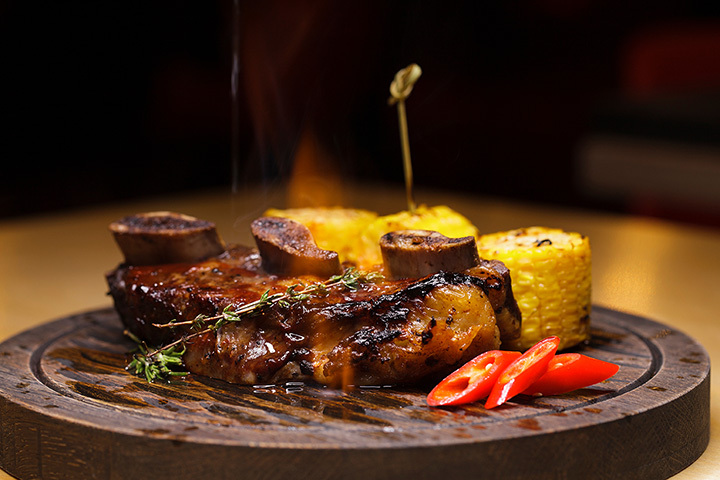 Whether you prefer a dry rub on something slow smoked or the dripping sauce slathered meat of choice, your favorite barbecue joint often becomes a well kept secret. The next time you’re craving something smoky and savory, try one of our top 10 picks for barbecue joints in Nevada. This small spot has some of the best barbecue around. The staff and owners make up a competitive barbecue team so you know these guys know their meats! They sell their meats by the pound and there isn't a bad choice on the menu. The brisket is our personal favorite, but don't forget to grab some homemade jerky too! Ever wonder what the stars of your favorite TV show do on their days off? Come on into Rick's and see just what Rick from “Pawn Stars” is cooking up. Their ribs are legendary and it's fun to listen to his stories when he's behind the bar. This joint knows their meats! They have the standard barbecue by the pound and some unexpected bonus selections. The barbecue meatloaf in amazing. The pulled pork is about as tender and juicy and you will find anywhere. Their pork belly barbecue is by far their best meat. The sides are unique and full of flavor as well. Dining here means lots of napkins and even more flavor. The perfect meal is a healthy portion of the pork belly and some of their four-cheese wrapped corn. World famous for their sauce, this friendly joint even cans it so you can take some home with you. The sauce is smokey and the best of Memphis. The ribs are what they do best and the portions are generous. A small-town favorite, this joint is known for huge helpings and a flavor that makes the customers loyal. You can catch them at their cafe location or in the traveling food truck. This joint takes a no frills approach to amazing barbecue. The meats are slow cooked and then brushed with just the perfect amount of barbecue sauce. The ribs are always fall off the bone tender and moist. This is the type of place you need extra napkins for. Another small town favorite, they offer some of the best catering around. The smokey smell is the first hint of the goodness yet to come. Their in-store Sunday buffet is a local favorite. It's a chance to try a bit of everything. While they offer the standard barbecue by the pound, their creative sandwiches are the must try item. The Texas Tornado is the best with the Pig-o-licous a close second. Their creative spin on everything barbecue is worth exploring. This cute little spot is the way barbecue is meant to be. No frills, dripping with flavor and filling enough you need to wear bigger pants! These guys know how to keep the meats amazingly moist and just spicy enough to make things interesting.